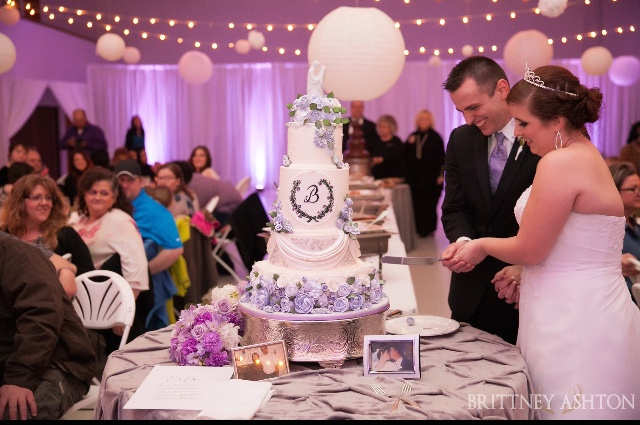 How much cake should I order for my wedding? Though it certainly seems like a simple question, it’s not as “cut & dry” as you may think. We actually need to discuss several more questions before we can answer this one. During the wedding planning process you will often hear the question, “How many guests are you planning on having at your wedding?”. Well, if you’re like most, you may not really know exactly how many there will be for sure. What you do know is: you’ve got a lot of people on your list, your future spouse’s list, and your parents’ list. But, how many guests will actually attend your wedding? How do you plan for food? How many servings of cake will you need? Well, I can certainly help you with that and I truly want to help you figure out how to have enough cake for everyone without having tiers & tears leftover after the wedding. Consider how many guests are from out of state. If you think they will not attend then just send them an invitation, but mark them off of your food and cake list. Regarding the guests who are in state, go through and mark off the ones you are pretty sure won’t attend. But, be sure to send them an invite regardless of their expected attendance because, trust me, no one wants to be left out or forgotten. Will your wedding take place in the evening or early afternoon? This question is important! If it’s in the evening of the fall and winter months, it gets dark earlier. Some of your older guests (who may not like to drive after dark) and parents of little ones (who have early bed times) won’t be able to wait around till 9pm or later for you to cut the cake. On the other hand, if your wedding is in the afternoon, say 2 o’clock, your guests usually only expect cake and punch to be served. So, you will want to be sure you have enough cake to feed everyone for the entirety of the event. Next, a question you may have is, “How big is a serving of cake, actually?”. 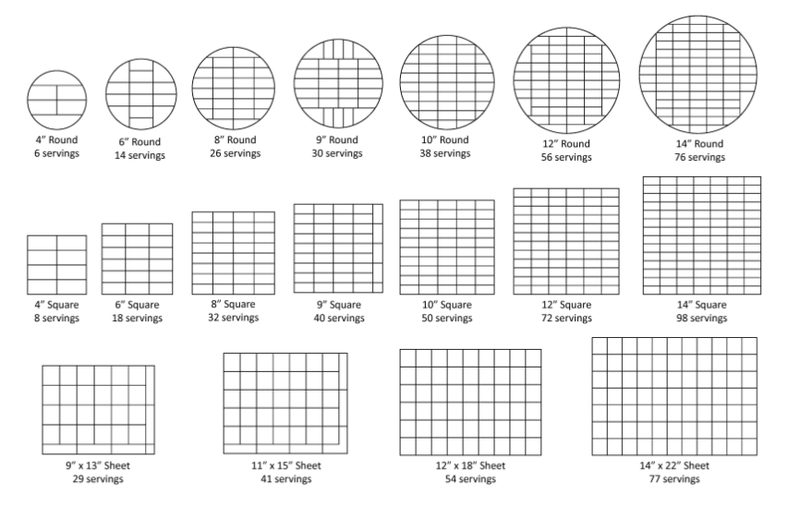 My cake serving size guide is the Wilton standard, which is a 1″ X 2″ slice. Your cake is on average 4″ thick, though sometimes a little thicker on request, but never less than 4″. How many guests do you plan on having at the reception? Some couples have a private ceremony, where only a select few are invited, but everyone else is invited to the reception. So, they are gonna need some cake, right? Are you planning to serve alcohol? If you are, then you should only plan to serve cake for two thirds of your guests. Why is this? Typically, most guys are not big sweets eaters anyway and, if they drink beer, they rarely eat cake. Some of the ladies will opt to consume the calories of an alcoholic beverage over eating cake. Other guests, partaking in alcohol consumption, will often be so busy visiting and partying that they won’t remember there is cake. 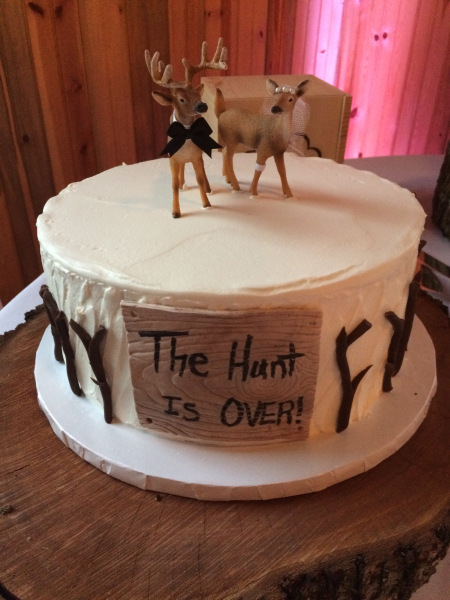 Are you planning to have a groom’s cake? If so, then plan to serve approximately 50 servings of his cake. 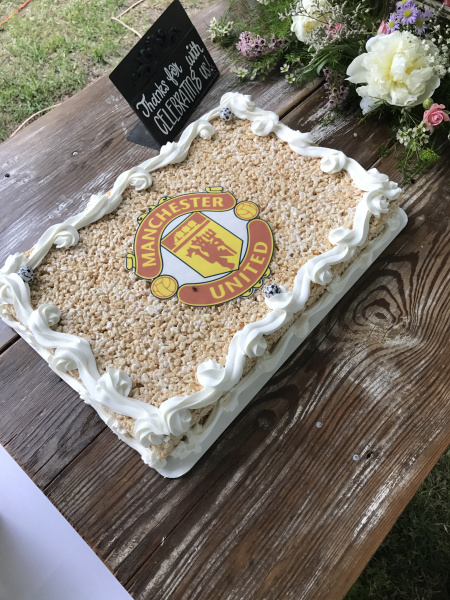 However, if the groom is wanting to showcase something fun and 3-dimensional, such as a 3-D football helmet or any other sculpted cake, you may need to accommodate for the popularity response and plan to reserve more than 50 servings for his cake. 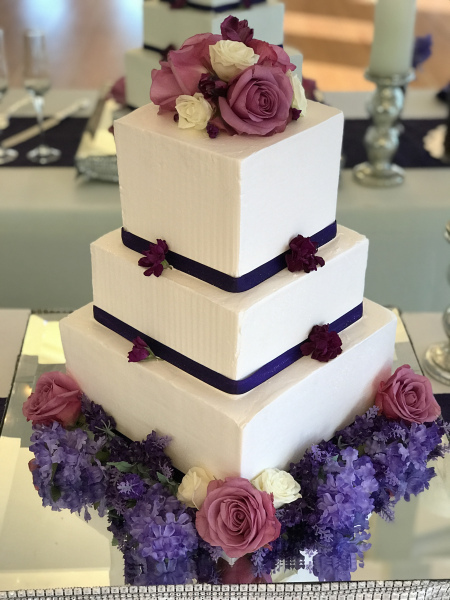 Unless you are planning to provide any additional desserts, sweets, or treats for your guests, you should now be able to figure out how many servings are needed for the wedding cake. Need an example? Okay, lets say you are planning to have 200 guests at your wedding and you are also serving beer and wine. While you definitely want to plan food for everyone, you really only need to serve cake for about 150 of your guests. Now to decide what shape you would like: round, square, heart, petal, hex, etc… Obviously, the most common are round or square, but there are some unique shapes that affect your overall slice count. For example, square cakes serve more per tier than a round cakes. Get the idea? Pair your wedding cake with the groom’s cake and you will have close to 150 servings of cake total. Take my previous suggestions into consideration and plan accordingly, I guarantee that my concept works pretty well. Sure, you may run out of cake or perhaps you may have just a bit left over. The question to ask yourself is, “would I rather run out of cake or have extra cake, just in case?”. Now, if you want your cake to look bigger or are just really wanting extra cake, GREAT! I am happy to add to the brides cake by adding a “faux” layer (for the same price) or by beefing up the size of the groom cake. You can even opt to add a “kitchen” cake. 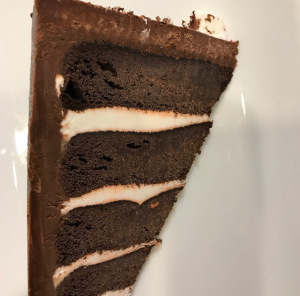 That is a plain, frosted sheet cake that stays in the kitchen or goes under the cake table to provide extra servings if you should you need them. 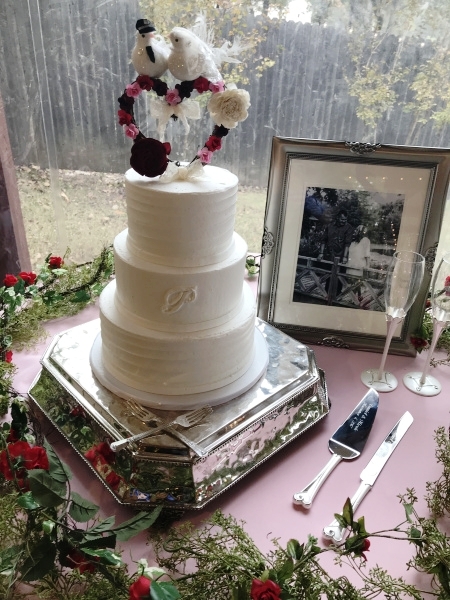 That way, if you serve all of the bride and groom cakes and end up not serving the kitchen cake, you will have an un-cut cake to enjoy the next day with family who may be in town for the wedding. I truly hope this information helps you to determine how much cake you will need for your wedding day. I am always happy to serve you and glad to answer any specific questions you may have regarding cakes, food, and treats!